If you're using the Office 365 (server-based) Phish Alert Button (PAB) for mobile, and you'd like to change the Phish Alert banner text to something else, you are able to. 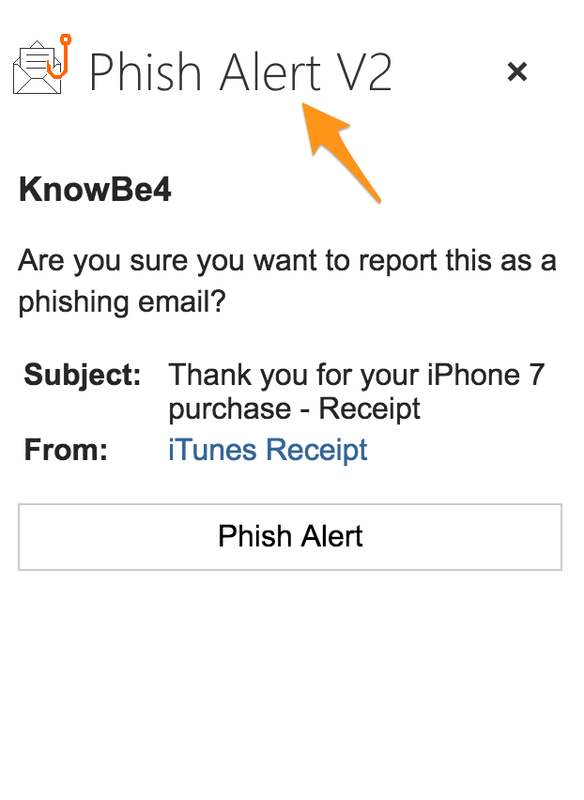 The text shown in red is where you may enter a replacement for the text which says "Phish Alert V2" by default. If you've already installed the PAB on your server, you can follow the same steps as above. First, remove your existing PAB add-in from Office 365, and then add the new .xml file you've edited as an add-in. Your users will then see the PAB with the new text that you've edited. Having trouble locating your account settings? To locate your account settings, click your email address on the top right of the console, and click Account Settings. The O365Manifest.xml is located under the Phish Alert section in your account settings. How Do I Change the Phish Alert Text for Office 365 (Server-based) PAB?